Agriculture plays a very vital role in everyone’s life. For few agriculture is not the only way of having food in their plate, rather a source of income. We get food from agriculture, one can not imagine his life without agriculture. Agriculture brings food in our plate, hence the agriculture needs to be proper care taken of. Care of Agriculture depicts the farming according to the nature of the soil, land and water. Say for an example, some staples are grown in the plateau regions, but can not be grown in plain area. There are various kind of agriculture activities, but the main part of agriculture is to decide where to do farming, and what to grow. Deciding on this is really a very crucial task. So, we have something which can assist you with this decision taking. That is GIS. GIS is helping people in every field, then why not agriculture. Yes, You read it right, GIS can assist in agriculture also. Lets see how GIS is helpful in Agriculture? Lets see how GIS Maps provides with above mentioned benefits in agriculture. Climate is a variable that varies from region to region and sometimes within a region. As we know that Climate plays a vital role in agriculture sector, hence it is a necessity to give a proper and required focus on climate while planning for any farming or agricultural activity. Hence one can not easily find out the climate of a particular reason, as climate is made up of few factors like water,air sunlight. So, in such cases GIS maps can help in forecasting the climate of any region for farming anything. It would also help to let us know whether that crop can be grown in that particular region or not, with the help of GIS maps. No agriculture is possible without land, and no successful agriculture is possible without knowing the land type. Yes, As we know that land is an essential resource for agriculture but it is of no use if one does not know the land type of a region, as one can not grow a crop in deserted regions, which is mean to be grown in plateau regions. So, to identify a land type GIS maps are a must. GIS maps will help a person in finding out the Land type of a region for better results, One can easily mark those regions on GIS maps. For growing the crops it is necessary to have water. We can not imagine our life without water, neither Can agriculture. So, to find out the water supply in a region we need to know the source of water of that region. That source can easily be find out With the help of GIS maps. 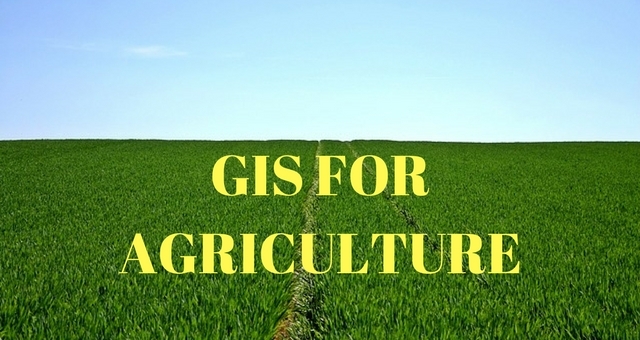 GIS maps are the main source of information, of the factors of agriculture. You can easily identify the water bodies located near to a region and can accumulate the supply of water in that region. Drought occurs because of the lack of water or rain. When there is no rain there will be no crops and food. Hence it is very important to know the drought prone regions, as to secure yourself from investing in such place where you might face some loss. So, GIS maps can help you find out those drought prone regions, on the basis of the previous data and GIS maps. With GIS maps you can get the details of the region which are drought prone. These are the benefits one can receive from GIS maps for Agriculture. Use GIS maps for Telecom, BCP, Logistics, Medical industry and last but not the east Agriculture. If you know any more benefits of GIS For agriculture, do let us know by commenting below in the comment box of GIS For agriculture article.